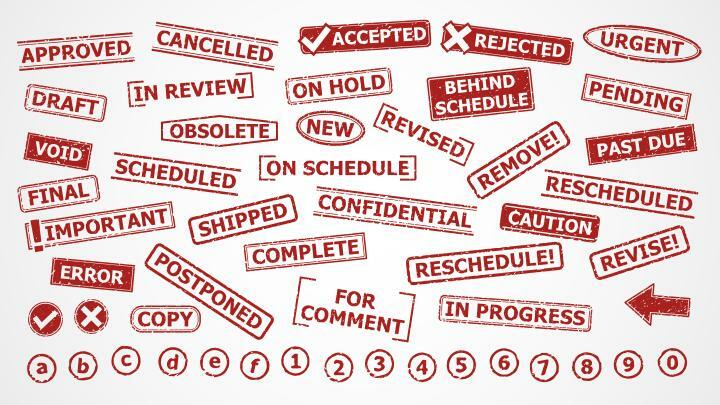 A set of various rubber stamp prints for annotating slides. 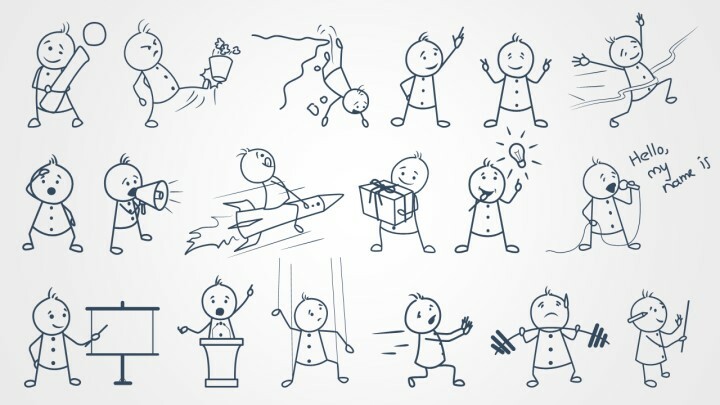 A huge set of beautiful, hand-drawn stick figures in different poses and performing different actions—perfect for illustrating all kinds of presentations. 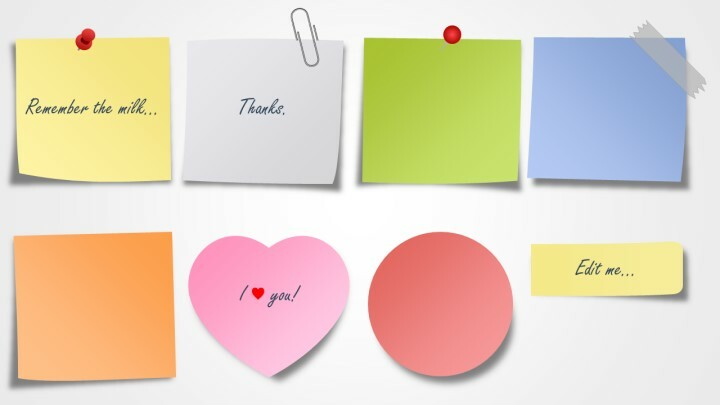 Adhesive notes in different colors and shapes as well as pushpins and paper clips. 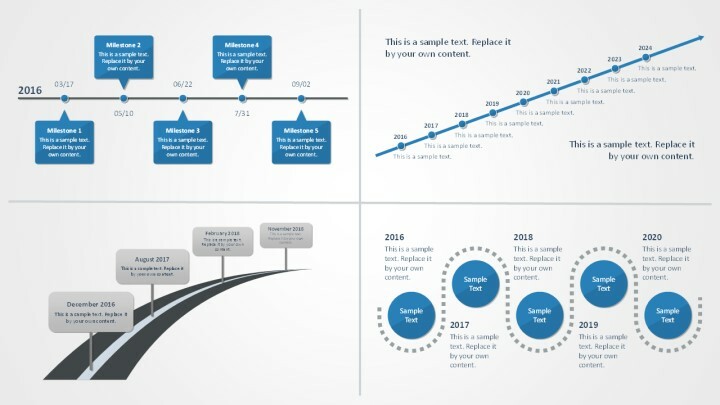 Timeline charts in various styles: arrow-shaped timelines, timelines with photos, roadmap timelines, vertical timelines, timelines with milestones and Gantt charts, and more. 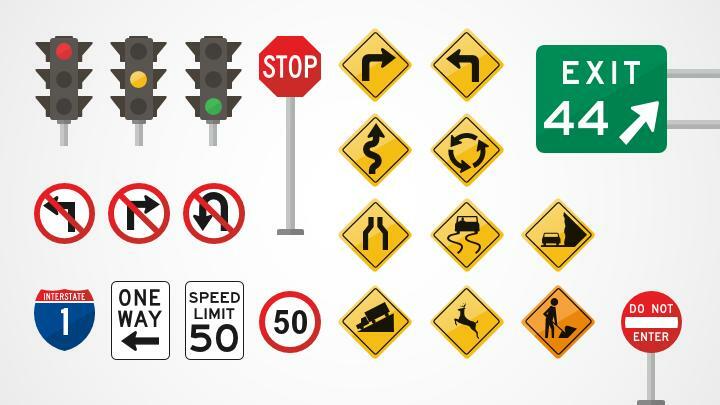 A collection of editable traffic lights and road sign illustrations for PowerPoint.